Fairy All In One Lemon Dishwasher Tablets - Pack of 100. 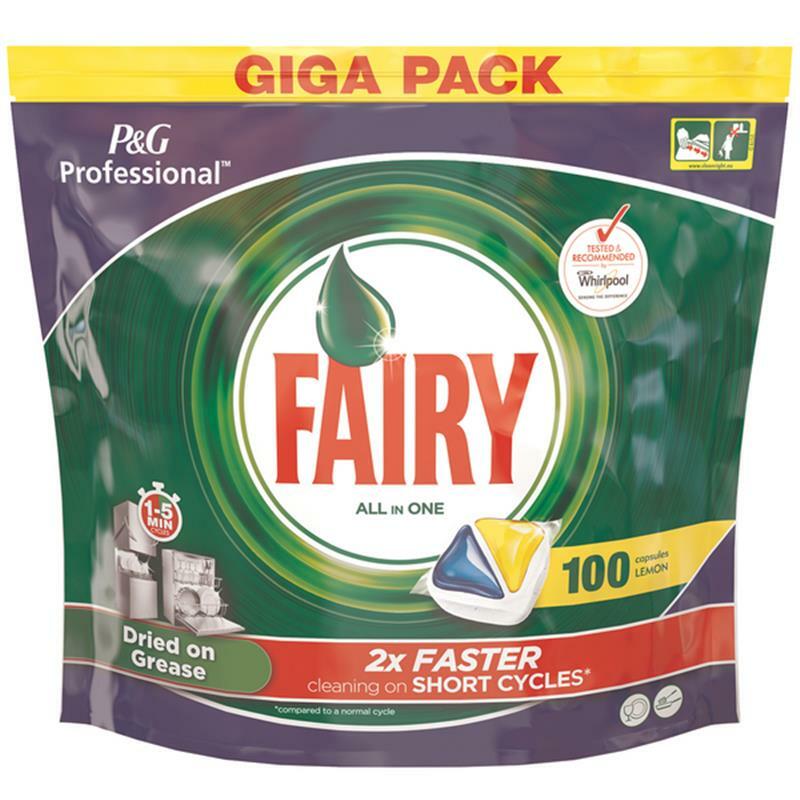 P&G Professional Fairy all in one dishwasher tablets with liquid power for cleaning stubborn foods of dishes in both professional and domestic dishwashers. Fairy cleaning power offers glass protection, salt action, metal shine and rinse aid action for sparkling cutlery and stainless steel items. Cleans brilliantly, leaving nothing but shine and there's no need to unwrap them, which makes them simple and easy to use.